When you think of India, you might have notions of a developing country with lots of modest buildings, crowded conditions and sub par infrastructure. While that may be true in many places, and I’ve shown scenes that might fit that stereotype on this blog, I also want to give a balanced and complete account of what I saw. You might not think of upscale and luxury, when you think of this country, but that’s certainly available. The ITC Gardenia, where I stayed, is located in the fancy part of Bangalore. Nearby is UB City, with its upscale mall and gleaming office towers. You see boutiques and stores you might not expect. 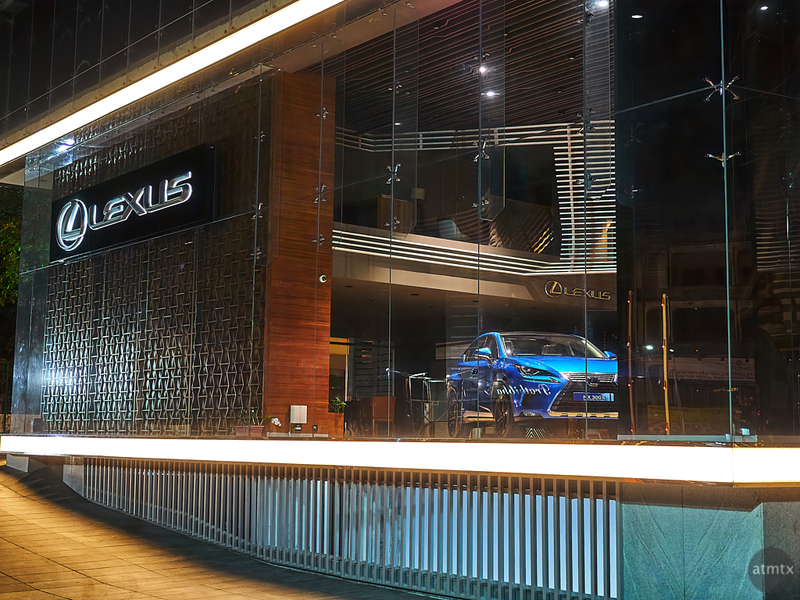 A Lexus dealer might be one of those places. In addition, nearby, I saw a BMW dealership and people mentioned that there’s even a Lamborghini showroom too. I suppose, photographically, these places aren’t as interesting for me, since they exist in other first world countries. However, I think these places make for an interesting story. One that might not fit the typical narrative of India. The country is large and complex. There’s certainly a large inequity between rich and poor, but there are rich people. And, I suppose, like other rich people elsewhere, they like nice and showy things.